Loving the reading of the poem – so glad you did it Matt. It brings the words to life……keep up the vlogging! 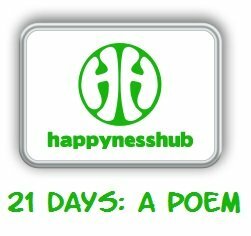 What a beautiful poem encompassing all that is wonderful about the Happyness Hub and delivered with a lovely, gentle sparkle. Thank you.